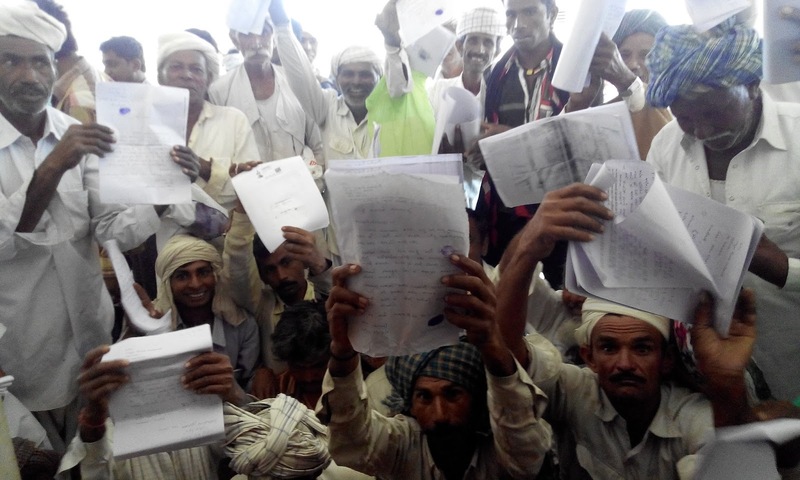 On October 12, 2015, Harkhabhai Parmar, filed a right to information (RTI) application with the taluka development officer (TDO) of Sui Gam Taluka, Banakantha district, for seeking details of criteria for the selection of families for flood relief, handed over following one of the worst-ever floods that took place during monsoon that year. The facts which he sought included list of beneficiaries for cash doles, amount handed over for household items, support of Rs 40,000 per cattle, Rs 95,800 for complete damage of house, and support of Rs 12,000 per acre for soil erosion due to flood. Parmar found that the most needy families in the village had not received any support, though their houses were completely collapsed and their cattle had died in the floods. The survey team came, and went away in a day. Parmar helped many people to file complaint. But all of it went in vain. He also got to know that people who were rich and powerful got compensation. This led him to decide to file RTI to seek details of beneficiaries, and benefit received criteria for selection and survey forms. Instead of furnishing information, Sarpanch, and officers started pressurizing, started messages, and offers. The result of filing the RTI application was, his friend and guide Ratansinh Chaudhari was attacked by a group and was severely beaten up. Ratansinh died on the spot. People involved in corruption assumed that no one would now make an attempt to seek information flood relief. In response to RTI filed by Harkhabhai, system offered him a house under Indira Awas, which he refused. The Public Information Officer (PIO) did not give him any information. He filed a complaint with the Gujarat Information Commission, which is pending. As per section 4 of RTI Act, such information should be proactively disclosed. Harkhabhai did not lose hope. Two sons of his friend Ratansinh, Dineshbhai and Hiteshbhai, also joined his mission. After finishing their work in the farm, they would go to different villages and talk to people, to understand their problems. They learnt that most of the needy people had been left without compensation. They started educating people about RTI and procedure of seeking information. The three together decided to have RTI campaign in Garambadi village. 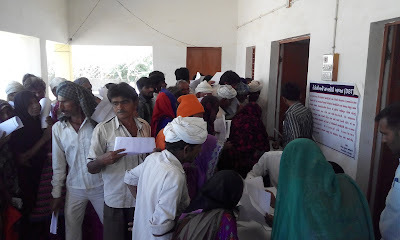 On receiving request, RTI on Wheels, run by NGO Mahiti Adhikar Gujarat Pahel (MAGP), Ahmedabad, along with a group of volunteers – Harinesh Pandya, Neetaben Vidrohi, Jatin Seth, Pankti Jog, Sadhana Pandya, Keval Parmar – reached the village on March 14. The campaign received overwhelming response. 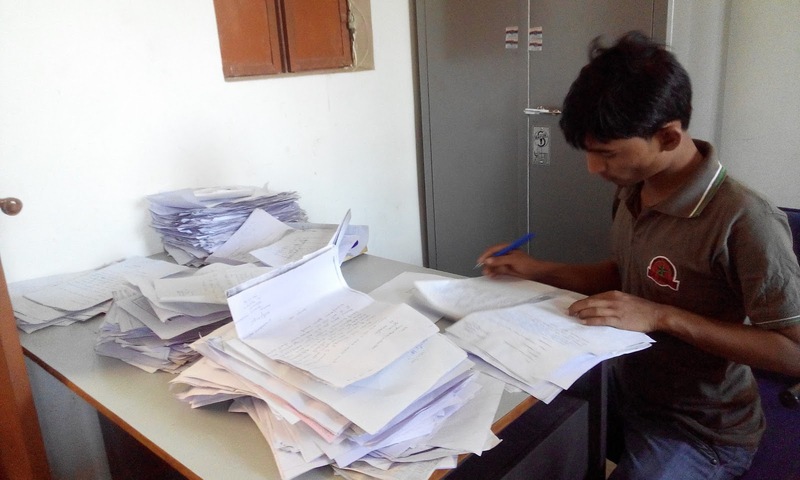 Drafting of complaints through RTI continued till late night. On the next day, flood victims of Maravada, Sui-gam, and Garambadi started gathering at the Taluka Panchayat Office in large numbers. People were ready with their RTI applications and Rs 20 application fee to be paid as per the Gujarat RTI rule, 2010. The TDO and his office were not prepared for receiving RTI applications. They didn’t even have receipt book printed for acknowledging the applications. The in charge staff of the nearby block, Vav, works in this office on a temporary basis. The entire system seems to be completely ignorant of the procedures, as well as extremely insensitive towards the issues of flood victims. However, people argued out well. They refused to leave the office till all the applications were submitted and receipts received. At the end of the day, 1,100 applications were filed. The office worked without taking a break till 6 pm. List of beneficiaries of flood relief package (cash dole, household kit, shelter, cattle death and land erosion) and the relief given to each of them, category wise. Criteria and process of selection of beneficiaries for the relief package. Whether this information was disclosed at Panchayat level as per the provisions of RTI Act. Harkhabhai’s mobile number has turned into RTI helpline. People from other villages began asking him to conduct a similar campaign.